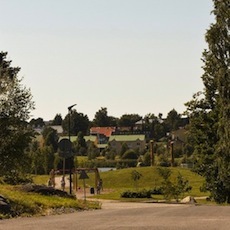 Lärkan – your first home? 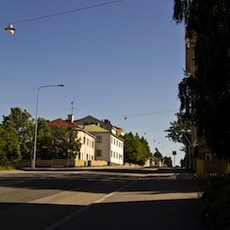 Svenska Lärhögskolans Bostadsstiftelse is a foundation, which was founded in 1972. The main purpose of the foundation is to make the housing situation easier, primarily for Swedish-speaking students in e.g. 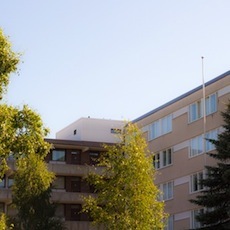 Åbo Akademi. 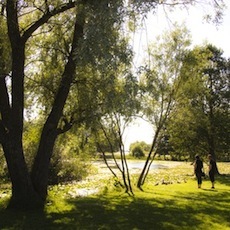 The foundation is known by the name Lärkan. 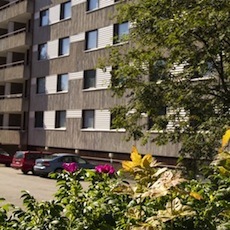 The foundation owns two houses in Vöyrinkatu 4 and 6. The buildings are located near all services and educational institutions. For more information, look at Map. The two houses were built in 1972 and 1981 and were restored in 2002-2003. 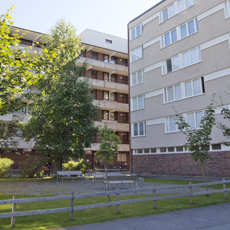 About 200 students live in Lärkan and the flats are in good condition. 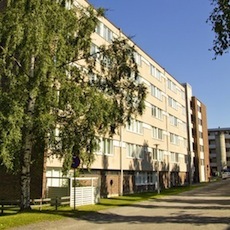 Laundries are situated in the ground floor and saunas in Vöyrinkatu 4. High speed internet and the water fee are both included in our favourable rates. Our shared flats are also furnished. 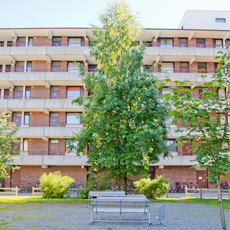 Lärkan is administrated by Realia Isännöinti Oy and building maintenance by Vaasan Talopalvelu Oy.